Such a great scene last night at the BMC Spring Criterium. 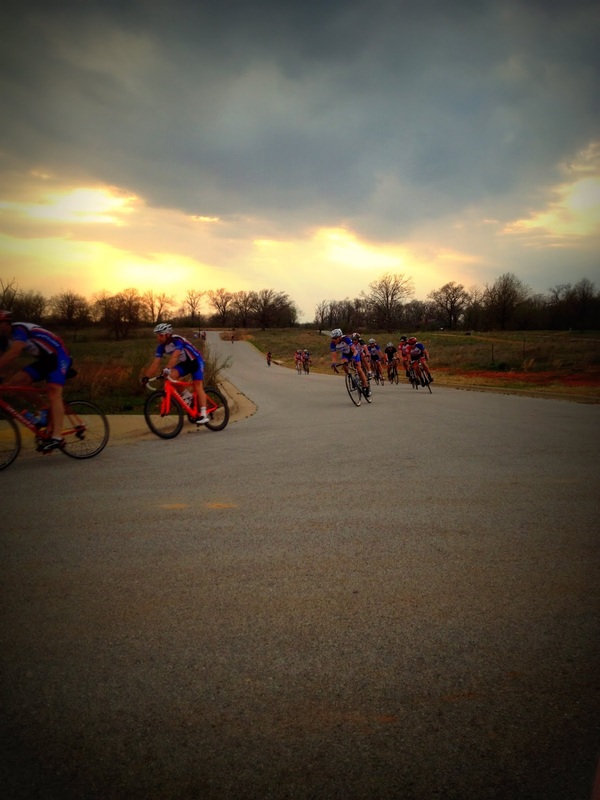 These local crits do so much good for the bicycle racing community in NWA. Most of us use them to maintain, build & sharpen racing fitness. Teams work on tactics with more experienced guys teaching the newbies. Small local races are perfect for cyclists that are new to racing and want to get their feet wet. Entry fees are reasonable and there is less pressure then the larger regional races. It's fun to get to know folks from the other local teams. There's always a couple people that take these races a little too seriously but most of us are just having fun. I would like to give a big shout out to Jason who is trying to bring more events to our corner of the Natural State. 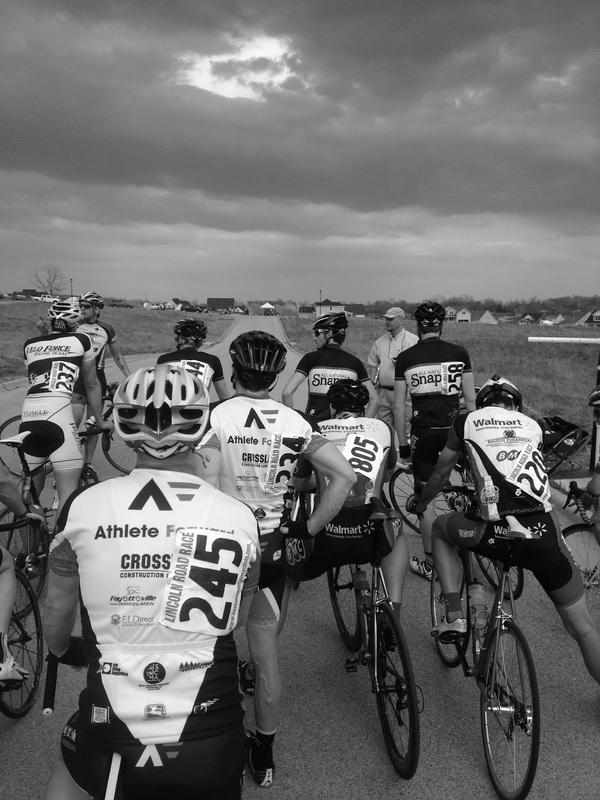 Link to the BMC Spring Crit series. Link to the NWA Omnium presented by BMC. Link to The Bike Route's crit series starting in May. The 3/4 race lining up. Noah thinks it needs more cowbell. Family & kids + Ozark sunset + bicycle racing = good times. Lot's of opportunities to work on cornering skills. Lining up for the open race.